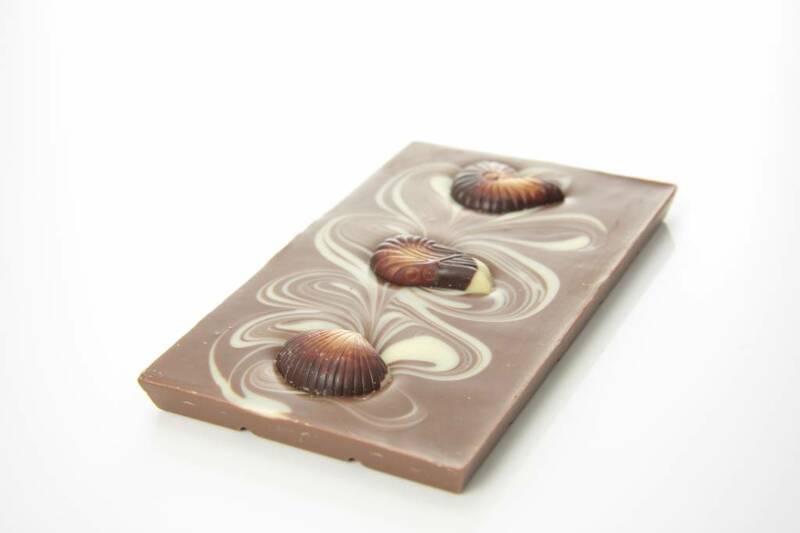 A creamy milk chocolate bar marbled with white chocolate and decorated with traditional Belgian chocolate sea shells filled with a hazelnut praline. 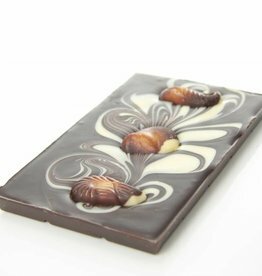 A dark chocolate bar marbled with white chocolate and decorated with traditional Belgian chocolate sea shells filled with a hazelnut praline. 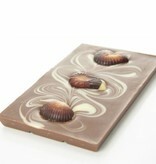 A bar of milk chocolate covered with pieces of crunchy cuberdon. 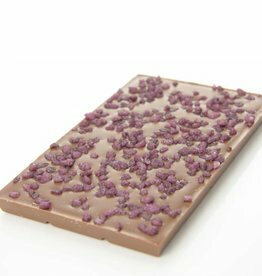 Cuberdons (or noses) are popular Belgian sweets with raspberry flavour.